I thought I’d finished writing blogs damning the NTA and their stupidity, however, it seems with nobody keeping them on their toes they have reverted to the behaviour that marked them out for continuous ridicule. The Maximum Taxi Fare changes on 01 February. All taximeters must be programmed (calibrated) AND sealed (verified) with the new fare in order to operate from 01 February 2018. Calibration is completed by a private taximeter installer of your choice. Verification is completed by Legal Metrology Services (LMS) through its contractor Applus. NTA is not involved in either of these contracts. It is up to the taxi operator to arrange for both calibration and verification in good time. In circumstances where this is not possible, the taxi may not be operated unless formal evidence from LMS of a verification appointment is provided on the spot by the driver to An Garda Síochána or NTA Compliance Officers. Operating with a taximeter not appropriately calibrated and verified will attract a fine of €60 up to €250 depending on the circumstances. 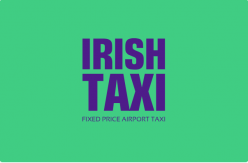 The NTA are threatening that from tomorrow any Taxi driver who doesn’t have their meter reprogrammed to the new higher tariff and resealed by the Legal Metrology Service will be subject to a fine of up to €250. This is despite the NTA knowing that many Meter installers do not have the relevant programme and that the Legal Metrology Service have stopped taking appointments as they are booked out. 1000’s of Drivers ringing the NTA to explain their situation are being told that their phone call is being logged and recorded and that should they be found to be operating a meter offering the lower fare they will be fined as per the note above. How are this incompetent authority allowed to regulate a billion euro business?